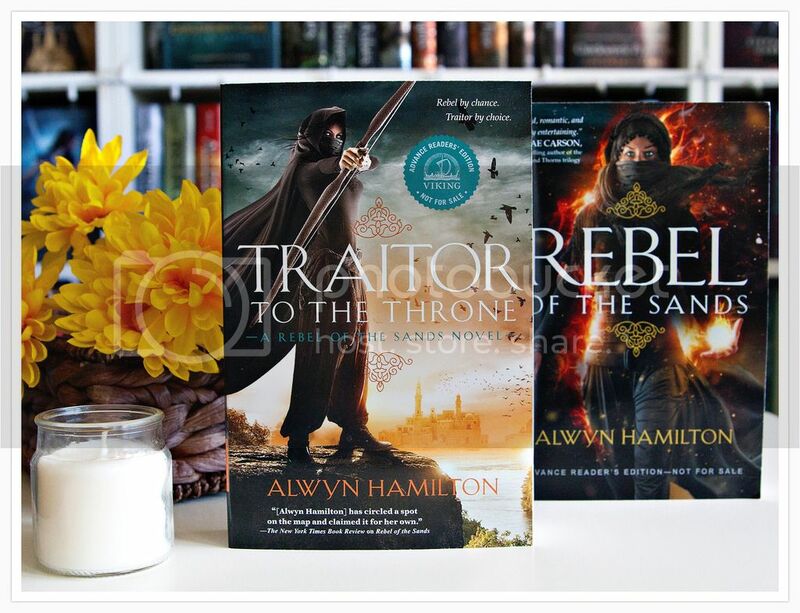 Today I'm sharing my *Top Five Reasons why I'm SUPER Excited for Traitor of the Throne* by Alwyn Hamilton, and sharing a giveaway so YOU can win your own copy of Rebel of the Sands! I've just recently finished my reread of Rebel of the Sands, which I started in anticipation of the Traitor of the Throne release in March. 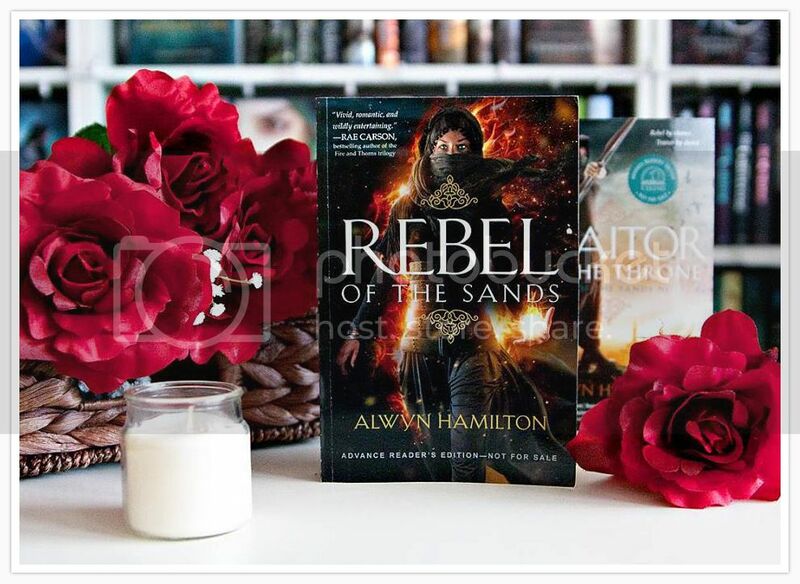 I was super excited to have the opportunity to reread Rebel of the Sands, as really wanted to have the story fresh in my mind before I started Traitor of the Throne. This reread, of course, just made me even more excited to start Traitor, and I can't wait to dive into the story!! Amani is the main character in this series, and she alone is reason enough to be excited for Traitor of the Throne. This girl is AMAZING. She's strong and courageous, and proves over and over again throughout Rebel of the Sands that she can take care of herself. I love Amani, and I absolutely can't wait to see what she's up to next in Traitor of the Throne. I had to put Amani in her own category because she's just so awesome, but I also have to mention the secondary characters that are in the story! There are SO many well written characters in this book, and I can't wait to see what all they're up to, and to meet all the new characters that I'm sure will be in Traitor to the Throne as well! I can't seem to get enough of the world that Alywn created in Rebel of the Sands. The descriptions of the setting are perfection, and the story is one that will keep you completely captivated as you turn the pages. It's full of action and suspense, magic and mystical creations, and, most importantly, djinni! I can't wait to completely immerse myself in this world again with Traitor of the Throne! I'm not really a fan of cover changes mid series, and while I still love the old covers a lot, I actually really love the new covers for Rebel and Traitor as well! Amani looks amazing and fierce on these covers, and I definitely love that. If you've read Rebel of the Sands, you'll know that it ends in a way that will leave you pining away for the next book in the series. I am absolutely dying to know what is going to happen next for Amani and her friends in Traitor of the Throne! Not too much longer until we find out! There you have it, just a few reasons why I'm excited for Traitor of the Throne. So tell me, are you excited as well??? If you've not yet read this series, you totally should! 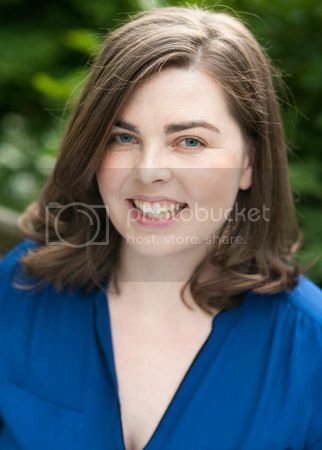 and it's lovely author, Alwyn Hamilton. And don't forget to enter to win your own copy as well!! 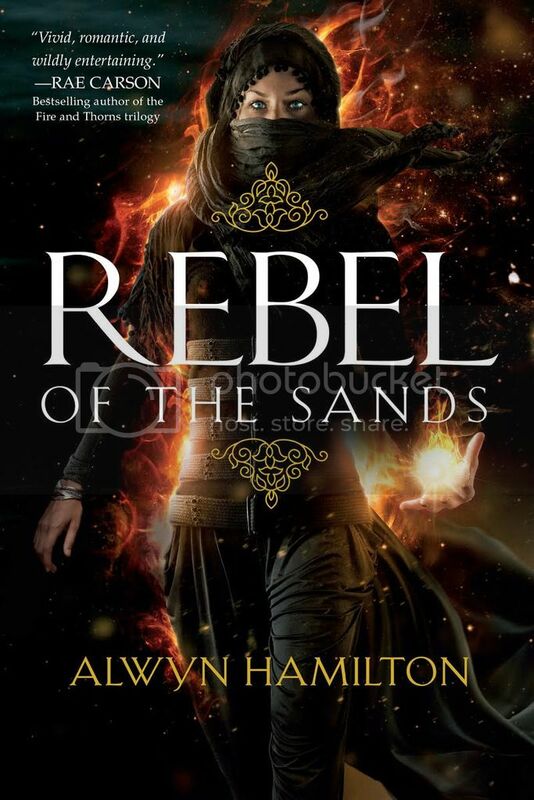 Enter for a chance to win one (1) of ten (10) paperback copies of Rebel of the Sands by Alwyn Hamilton (ARV: $10.99 each). NO PURCHASE NECESSARY. Enter between 12:00 AM Eastern Time on February 13, 2017 and 12:00 AM on March 6, 2017. Open to residents of the fifty United States and the District of Columbia who are 13 and older. Winners will be selected at random on or about March 8, 2017. Odds of winning depend on number of eligible entries received. Void where prohibited or restricted by law. She’s more gunpowder than girl—and the fate of the desert lies in her hands. Mortals rule the desert nation of Miraji, but mystical beasts still roam the wild and barren wastes, and rumor has it that somewhere, djinni still practice their magic. But there's nothing mystical or magical about Dustwalk, the dead-end town that Amani can't wait to escape from. Destined to wind up "wed or dead," Amani’s counting on her sharpshooting skills to get her out of Dustwalk. When she meets Jin, a mysterious and devastatingly handsome foreigner, in a shooting contest, she figures he’s the perfect escape route. But in all her years spent dreaming of leaving home, she never imagined she'd gallop away on a mythical horse, fleeing the murderous Sultan's army, with a fugitive who's wanted for treason. And she'd never have predicted she'd fall in love with him... or that he'd help her unlock the powerful truth of who she really is. Yes! I can't wait to catch up before the new one releases! Thanks! I love this post! I just read the book and loved it! Thanks for helping me decide I really need to read this book. I completely agree!! I am absolutely eager to get my hands on this book. I cannot wait!! I'm really excited to read this book for the first time! I've heard excellent things about it and your post really makes me hyped up for it.